We put the power of personalized precision medicine in the hands of patients and physicians alike. The outcome being the right drug, at the right dose, the first time. 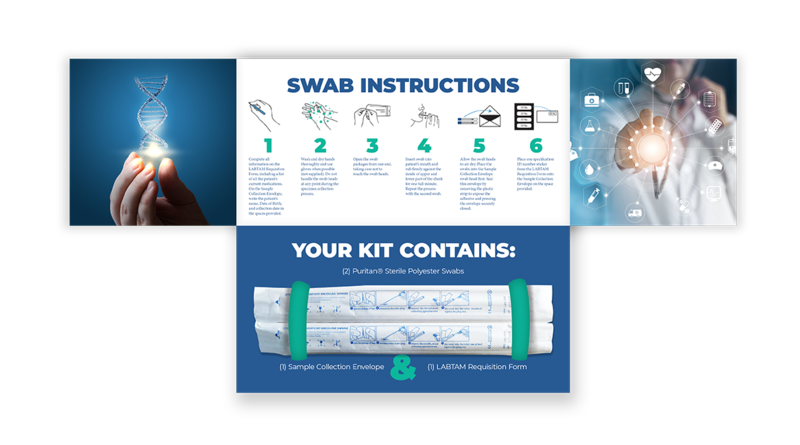 Can a cheek swab save your life? adverse drug reactions occur yearly, 100K+ resulting in DEATH. leading cause of death ABOVE Pulmonary Disease, Diabetes, AIDS, Pneumonia, and Accidents. The answer lies in advanced medical screening called pharmacogenetic testing. Pharmacogenomic tests identify which prescription medications are safest and most effective for you based on your genetic makeup. Pharmacogenetic testing is saving lives and improving healthcare by reducing the number of unnecessary adverse drug reactions that patients experience due to insufficient data on how they metabolize medications. It allows for better diagnostics and better patient outcomes, all from a 60-second swab of your cheek. We’ve created a simple way to manage your medications and maintain your health. Harnessing the power of cutting-edge technology with the ease of a 60-second test, from the comfort of your home. 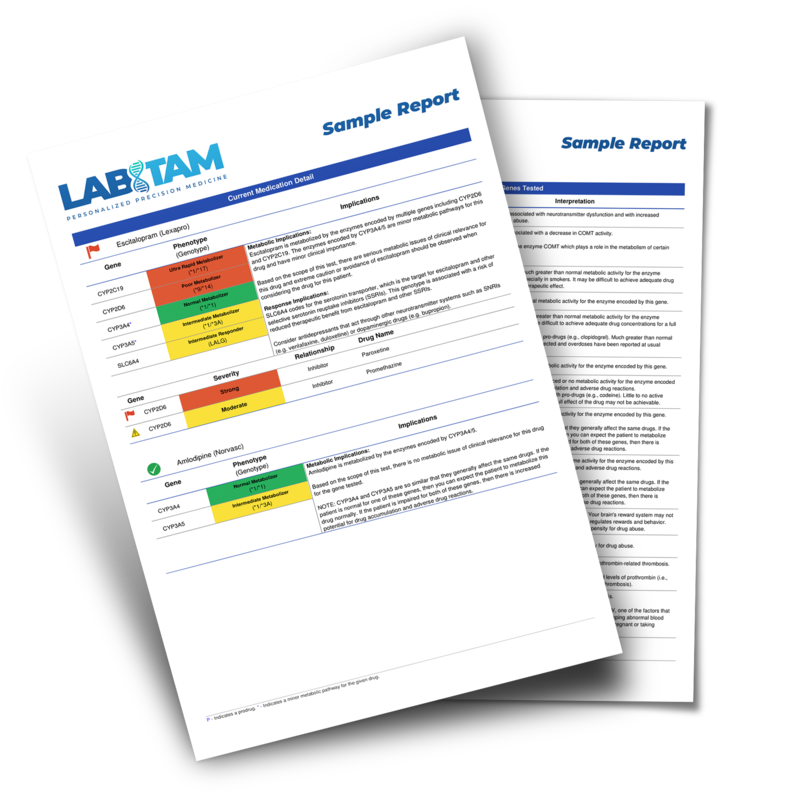 Our personalized reports will give you detailed insights into how your specific genes affect your ability to metabolize different medications and the implications of your body’s response to them. Having this information readily available to you or your physician may greatly improve the outcomes of any medication regimen, and may allow for more precise diagnoses in the future. 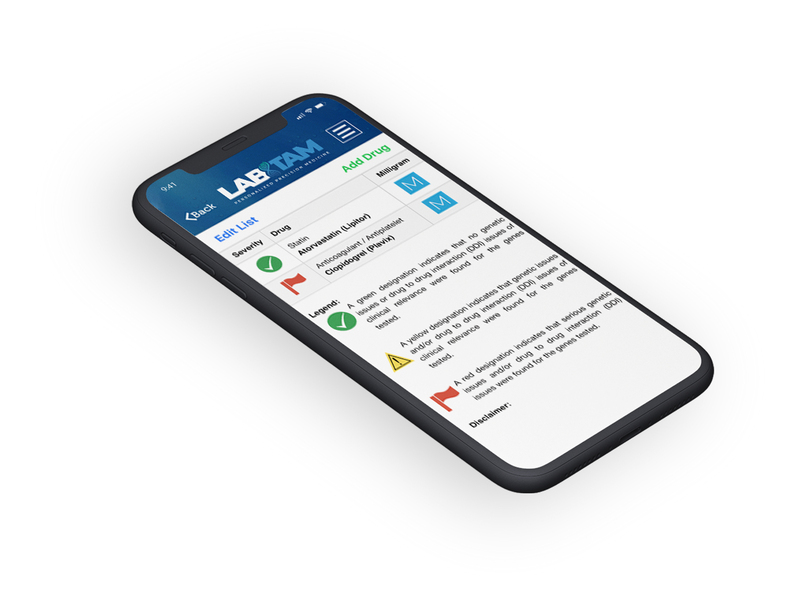 Access to the app is included with your LABTAM pharmacogenetic test. It gives you complete access to your test results and allows you to check any medication against your genetics as well as a continually updated database to ensure safety and efficacy for every prescription for the rest of your life. Take control of your medication today.